Thanks again for joining me for another installment of my Vintage Quilt Monday series. This quilt actually belongs to my mom, and it once belonged to her grandfather. He passed away before I was born so I never knew him, but she says that he always kept this quilt at the foot of his bed. We're not sure who made it, or when it was made, but I love it. It's a Grandmother's Garden design, all hand pieced from hundreds of little hexagons, and hand quilted as well. It's not in the best shape, and there are places where there the fabric has worn from use. But there are still places that are in great shape, like this flower. The blue floral fabric reminds me of a Katie Jump Rope print. It's backed with a thin cotton muslin. And it looks like there is a thin layer of cotton batting. And I love how the sunlight shines through the fabrics. It reminds of of stained glass. 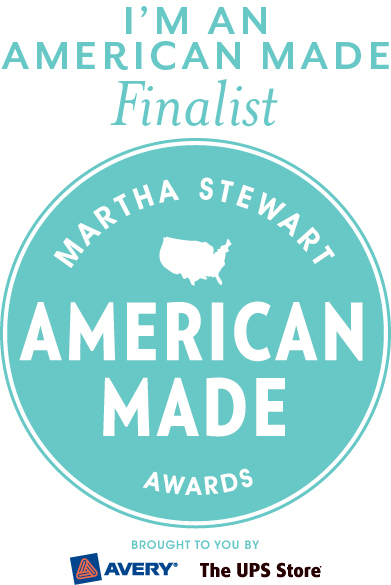 And thank you also for all of your help, support, and kind words in my adventure of being a finalist for the Martha Stewart American Made Awards. I still need your help, and would love your votes daily through Sept. 24. Thanks again! Are you aware that you have word verification turned on and that it is harder and harder to read them? Oh I love the colors. That greenish teal is so vintage! Someone needs to go reproduce that color now! 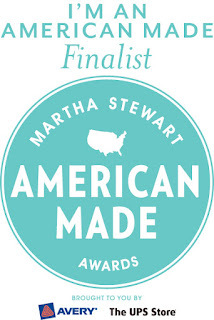 As for me, I shall go vote for you in the American Made contest.